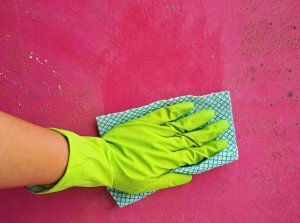 Should All Mold Be Remediated? Every mold scenario is different. Different problems require different solutions. Typically, if you have a mold issue, calling in a professional remediation service is your best bet. Remediation will not only get rid of the mold, but it will also help prevent it from coming back. However, homeowners can consider tackling a small mold issue on their own. Keep reading to find out when to consider DIY and when to call in the pros. It is easy to confuse mold removal with mold remediation. It’s nearly impossible to remove all mold. Mold spores are microscopic and can remain with even the most thorough cleaning. They can be dormant and no cause issues. However once activated and growth begins, they take on a life of their own. This is where professional mold remediation services come in. Mold remediation is a professional service. A qualified company understands the science behind mold, mold growth, mold removal, and mold prevention. Professionals have the training and expertise to remediate the mold in your home or business. Mold remediation focuses on getting mold levels back to normal, natural levels. Mold problems often follow a flood, leak, or other major water damage. If you can’t identify the source of the mold, there is a good chance it will return. Mold remediation crew professionals know the common causes of water exposure and subsequent mold. They will begin by taking air samples to identify the type of mold and spores present. This will determine the extent of contamination and the best way to get rid of it. Next, clean up begins. Hard surfaces are scrubbed and may be treated to prevent re-growth. Porous materials infested with mold and spores, like wood and drywall, are removed and replaced. High-efficiency vacuums and air filters are also used to remove to remove any airborne mold and spore particles. Ongoing factors that contribute to mold growth are also identified and addressed. Everyday mold can sometimes be battled with everyday solutions. Common mold along thresholds of exterior doors, sinks, near hot water heaters, and sump pumps, and in bathrooms can often be removed with a little elbow grease. For more stubborn mold growth you can spray it with a solution of 1:9 bleach-to-water and then wipe it down. This is only recommended if you have a small area of mold growing on easy-to-clean surfaces like glass, metal, tile, tubs, or sinks. You should also only consider removing mold on your own if you don’t have any health problems likely to be made worse by increased exposure to mold. Also, if the mold is growing on hard-to-clean materials, like carpet, that is harder to remove and replace and you’re unsure how to do it properly, you should contact a mold remediation professional. However, don’t assume simply applying a mold cleaner to the obvious mold will be enough. It is always better to be safe than sorry. If you suspect your mold issue extends beyond 10 square feet, the assistance of mold removal experts will be required. Our professionals know exactly how to identify and clean mold, regardless of its location in your home. 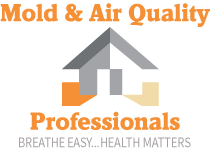 Contact Mold & Air Quality Professionals to help you rid your home of mold permanently.